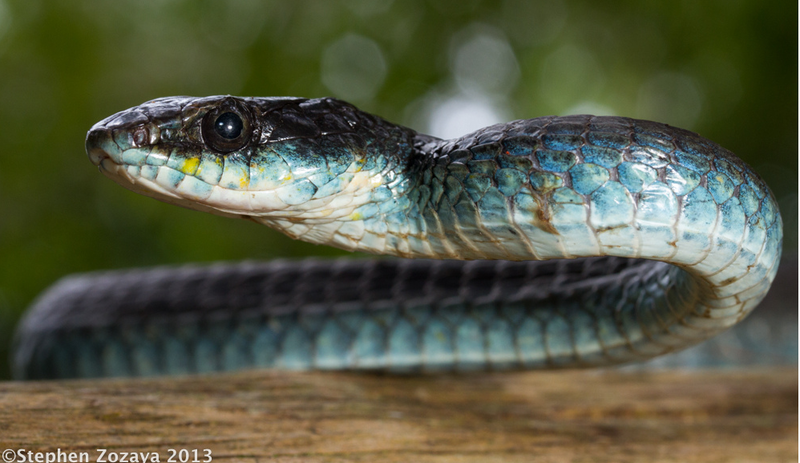 A while back, medical-doctor-turned-snake-blog-post-translator-extraordinaire1 Alvaro Pemartin asked me to write an article covering basic snake taxonomy. Taxonomy is the branch of biology that deals with naming and classifying organisms. Biologists still use the Linnean hierarchical system for taxonomy, which is convenient for grouping organisms, but there is a move towards using phylogenetic systematics and the evolutionary species concept in taxonomy, particularly in the sense that recognizing and giving names to non-monophyletic groups is discouraged.2 We'll primarily stick with the Linnean system in this article, which uses particular suffixes to denote the taxonomic level (for example, all animal families end in '-idae' and all subfamilies end in '-inae'). However, I've also included some cladograms, which are the most useful figures for understanding evolutionary relationships. If you haven't read one before, you can read up on them here, here, or here, but just know that they essentially work just like a family tree. There are about 3,400 species of snakes in the world. All are placed in the suborder Serpentes (aka Ophidia) of the order Squamata, which also includes lizards, from which snakes evolved about 190 million years ago during the Jurassic Period. Extant (modern or living) snakes are divided into two major groups, the blindsnakes (aka threadsnakes or scolecophidians) and the advanced or true snakes (alethinophidians). Advanced snakes are also divided into two non-monophyletic groups, the "older snakes" (henophidians) and the "recent snakes" (caenophidians). The vast majority of all living snakes, about 77% or 2,650 species, are caenophidians, including most of the snakes you've probably heard of: rattlesnakes, cobras, kingsnakes, and many others. 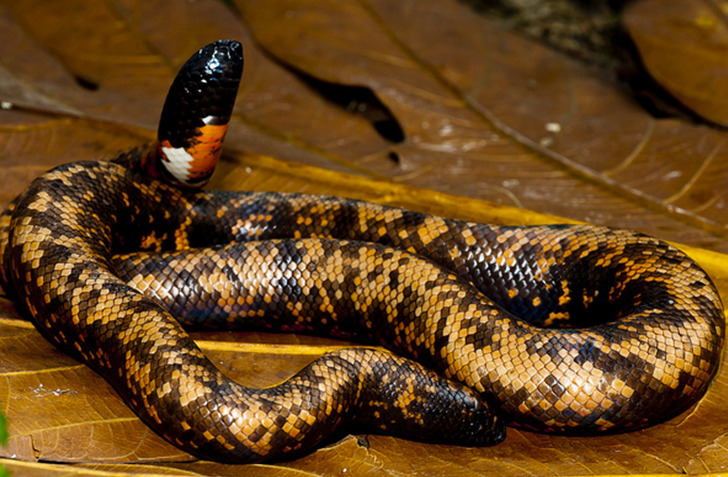 A few well-known snakes are henophidians, namely boas and pythons. Most scolecophidians are poorly known. Let's break down each of these groups in slightly more detail. There are about 400 species of scolecophidians, divided into five families and found mostly in the tropics. They are commonly called blindsnakes, because many have vestigial eyes as a result of their fossorial lifestyle, or threadsnakes, because most are very thin. Most have unspecialized ventral scales, shed in thick rubbery rings, and have a spine at their tail tip. Many eat termites and ants. Most are probably oviparous, or egg-laying, but their reproductive biology is poorly known. Scolecophidians diverged from alethinophidians about 125 million years ago during the Cretaceous Period. 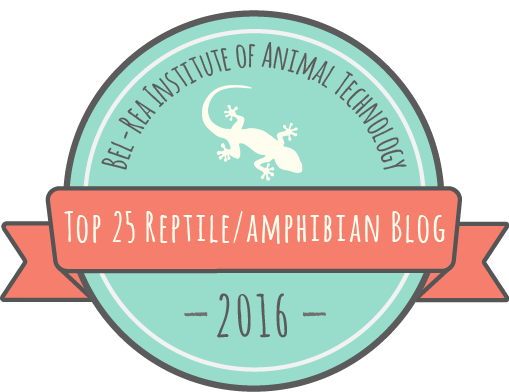 You can read more about a fascinating mutualism between a blindsnake and an owl here, or about basic blindsnake biology here. 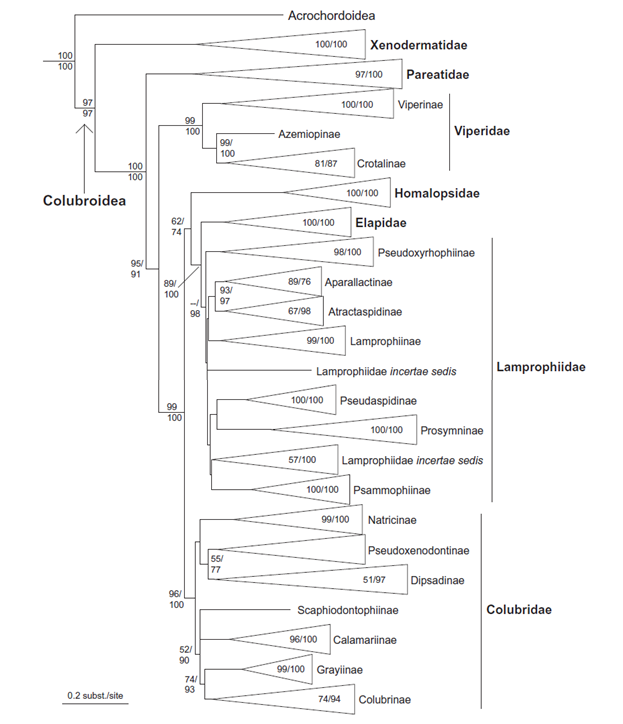 Phylogenetic tree showing currently accepted hypotheses of snake relationships. Figure from Lee et al 2007.
primarily by similarity of morphology, dotted lines are supported primarily by molecular analyses. "Henophidians" are a diverse, if species-poor, group of snakes. I mentioned earlier that they are non-monophyletic, meaning that some henophidians are more closely related to caenophidians than others, which is why the name of their group is in quotation marks. 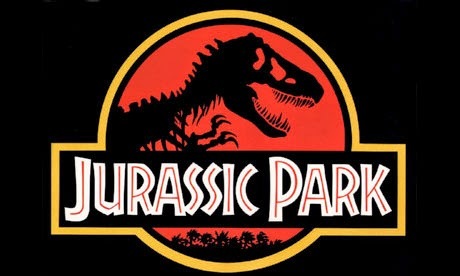 All henophidians shared a common ancestor about 98 million years ago, during the Cretaceous Period. There is some pretty major uncertainty about how henophidians are related to one another, but many taxonomies divide them into four superfamilies (which end in '-oidea' under the Linnean system). The most primitive, the Uropeltoidea, is comprised of five families (Aniliidae, Tropidophiidae, Anomochilidae, Cylindrophiidae, and Uropeltidae) that lack the ability to open their mouths very widely. These snakes have stout skulls with few lizard-like teeth, short tails, and poorly developed ventral scales. Most are viviparous, meaning that they give birth to live young, except the anomochilids, which are oviparous. There is better evidence linking the former two and latter three groups than there is for combining all five families together into a single superfamily. Also, two enigmatic species in the genus Xenophidion might belong somewhere in here. The rest of the henophidians together with the caenophidians are often called the macrostomatans, because they have the ability to open their mouths (Greek: stomata) very wide and consume very large (Greek: macro) prey items. The most primitive of these are the oviparous Pythonoidea, a superfamily including true pythons (Pythonidae) as well as two small lesser-known groups respectively known as the Asian and Neotropical sunbeam snakes, the xenopeltids and the loxocemids. Pythonoids and a superficially similar but surprisingly unrelated group, the viviparous booids (consisting of true boas and their less well-known relatives, the ungaliophine dwarf boas and the erycine sand boas), diverged from other henophidians about 75 million years ago. 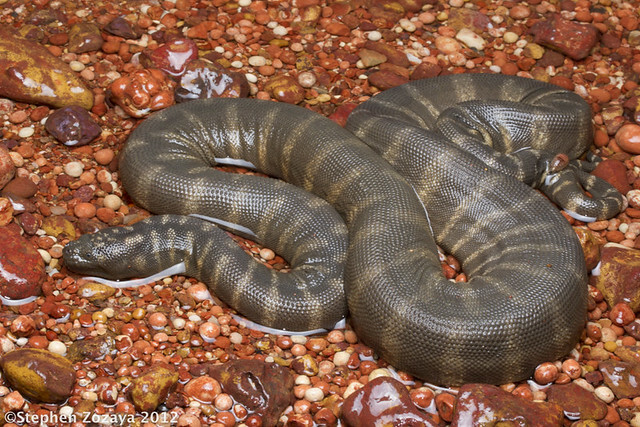 Finally, the most advanced henophidians, the oviparous splitjaw snakes (aka Round Island "boas" or bolyeriids), diverged just slightly later than or around the same time as the true boas. Because the splitjaw snakes constitute only a single family and were historically considered boas, you don't usually hear them referred to as a fourth superfamily. These snakes are exciting! These snakes have venom, excellent color vision, and sophisticated chemosensory, prey acquisition, and antipredator abilities. Also they have spines on their hemipenes. Also they are awesome. Can you tell which group is my favorite? The traditional three-family tooth-morphology arrangement of colubroids has been replaced by the seven family arrangement seen above.3 Three of those seven families include several subfamilies. The most primitive colubroids are the xenodermatids, or odd-scaled snakes, which diverged from the others about 47 mya. The snail-eating pareatids are next, a group you'll be familiar with if you've been following this blog since the beginning. Next diverged the viperids or vipers, about 35 million years ago. There are three subfamilies of vipers: the old world viperines, the widespread crotalines (or pit vipers), and the monotypic Azemiopsinae, or Fea's Viper. True colubrids are still a large group, even though many species have been removed to the "new" families. The subfamilies are large and diverse, although most lack dangerous venom (a few species notwithstanding). You can read the story of the evolution of some of the subfamilies here. There are many well-known colubrids, including ratsnakes, kingsnakes, racers, hog-nosed snakes, and many others. Homalopsids, including some that chew their food, are a small but interesting group of semi-aquatic snakes found in southeast Asia. The front-fanged elapids (including cobras and coral snakes) have retained their monophyly, and little support has been found for recognizing the sea snakes as a separate family. Finally, we have the Lamprophiidae, a new family erected to contain former colubrids that turned out to be closer relatives of elapids. Lamprophiids also represent several interesting subfamilies, including the side-stabbing atractaspines, scale-polishing psammophines, and Malagasy pseudoxyrhophiines. I think Darren Naish would agree that there's plenty of fodder for future articles in these groups. Legless lizards: There are several groups of legless lizards. The North American glass lizards are among the most familiar. All have external ear openings and most have eyelids. In one sense, snakes are but one very diverse group of legless lizards. Amphisbaenians: These are also technically lizards, but under some older taxonomies they are referred to as a separate group of reptiles, because they have a vestigial right lung and have a unique skeletal structure. Caecilians: These most primitive of amphibians have slimy skin and are found underground in the world's tropics. 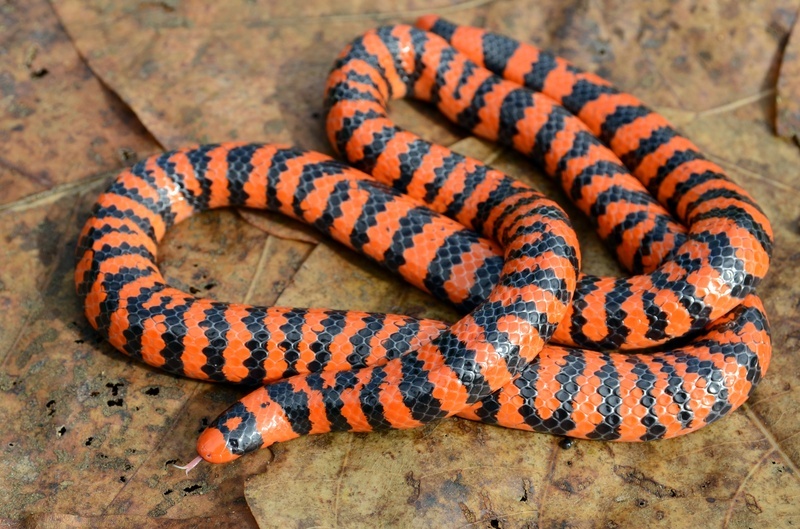 Many are common prey of coral snakes. Eels: Elongate fishes that actually do have limbs in the form of fins. There are several groups of fishes that are all colloquially called eels, including spiny eels, fire eels, electric eels, and true eels (Anguilliformes). Some amphibians are also sometimes called eels, including amphiumas or conger eels, sirens or mud eels, and rubber eels, a kind of caecilian. Worms: There are several different major groups of worms, including roundworms (nematodes), flatworms (platyhelminths), and segmented worms (annelids). Snake taxonomy is a complicated field and there is still much disagreement among experts. I have made several oversimplifications above, so if this is your area of expertise feel free to chime in with a comment or two. I hope you're looking as forward to reading more about many of these groups as I am looking forward to writing about them. Thanks to ptrick127, Gary Nafis, Tein-Shin Tsai, and Stephen Zozaya for use of their photos. Given this: "There are about 3,400 species of snakes in the world. All are placed in the suborder Serpentes (aka Ophidia) of the order Squamata, which also includes lizards..." as well as your post in general, how would you define what a "snake" is? Great question Dave. Snakes are squamates that, in addition to being limbless, also possess a number of other key anatomical features that distinguish them from other limbless squamates. These include >26 pre-sacral vertebrae, the absence of fracture planes in the tail, a highly kinetic skull lacking a tightly-joined chin and having movable maxilla, palatine, and pterygoid bones, a reduced left lung, no eyelids, modified retinal cells in the eye, cloacal scent glands, and ecdysis (skin shedding) in a single step. All snakes are carnivorous and all shared a common ancestor 125 million years ago, whereas other groups of limbless lizards are more distantly related. It's important to keep in mind the difference between a definition and a diagnosis. Andrew's reply has a bit of both, with diagnostic stuff first (how can you tell if you're looking at a snake and not something else? - let me count the ways), coming to common ancestry at the end. An adequate definition would be 'snakes are all (and only) the descendants of the first species of squamate that possessed derived characters X, Y and Z'. X, Y and Z would be a minimal diagnosis, and you'd pick characters that have never (as far as we know) evolved together convergently in any other group of squamates. I'd nominate total absence of an ossified shoulder girdle, more than about 50 precaudal vertebrae, and zygosphene-zygantrum joints, but it doesn't matter if you choose different key characters because definitions are arbitrary. If you picked ones that didn't evolve in the way you thought they did, your definition could later 'self-destruct', i.e. be discovered to define an empty set. 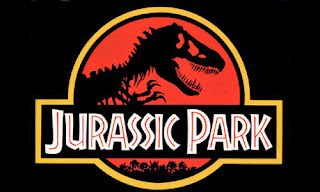 In practice, we prefer to define taxa as either 'the last common ancestor of this organism and that one, plus all its descendants' OR 'all organisms more closely related to this organism [say, the holotype of Coluber constrictor] than any of those ones [say, the types of Varanus, Anguis, Lacerta, or Scincus]'. These are guaranteed not to self-destruct, but again, may end up applying to a bigger or smaller group than you intended, as new evidence comes out. Using fossils as reference taxa to define extant clades makes for extra complications, and so on. The point I'm trying to make is that definitions are arbitrary, characters are hypotheses, but clades are natural objects that we can (fallibly) recognise and name by pointing to them. Oh, and that snakes are really cool. Thanks for your comment, I'm glad it worked for you this time! Sorry again about the troubles last time. Agreed on all points, particularly the last. Very good article and lovely snakes!